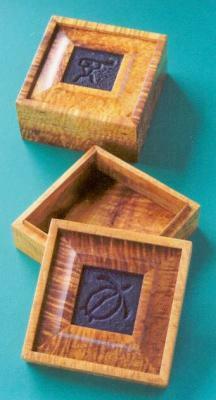 My work includes Koa Jewelry Boxes of all sizes, Memorial Urns, and Picture Frames. Many of my boxes feature handmade ceramic tiles created by my wife, Julie. Custom orders are always welcome.